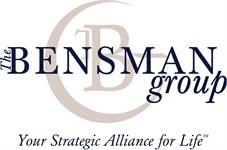 The Bensman Group is always looking for high-integrity candidates with a strong work ethic, ambition, and desire to serve clients in the insurance and financial arenas. We seek experienced insurance and financial professionals, as well as entry-level candidates. Please send your resume to Michael Caligiuri at [email protected]. Alternatively, call us at 847-572-0800 and ask for our Operations Director, if you are interested in learning about any opportunities with our Firm. We are a business that feels like a family! Your coworkers care about you and your family as well. We want to support you with your professional aspirations as well as your personal goals and passions. It's important to use that you feel a good work-life balance. For our full-time employees, we offer Medical, Dental, Vision, Short Term Disability, Long Term Disability, and Life insurance. We provide access to a an Flexible Spending/ Dependent Care Accounts and contribute a portion each year. We offer a 401(k) retirement plan with up to a 4% match. We offer a generous Paid Time Off plan, including 16 days earned leave in the first year, 10 holidays, and summer hours. All benefits are subject to change.